FSW Security Products supply and fit high quality metal railings to both domestic and commercial customers throughout Coventry, Rugby and Nuneaton. Our team of highly skilled designers can tailor metal railing to suit your individual requirements. Our railings are ideal for creating a clear boundary line around your property, while adding aesthetic appeal and providing increased levels of security and privacy. Railings can also be custom built to provide a safety barrier around swimming pools, etc. 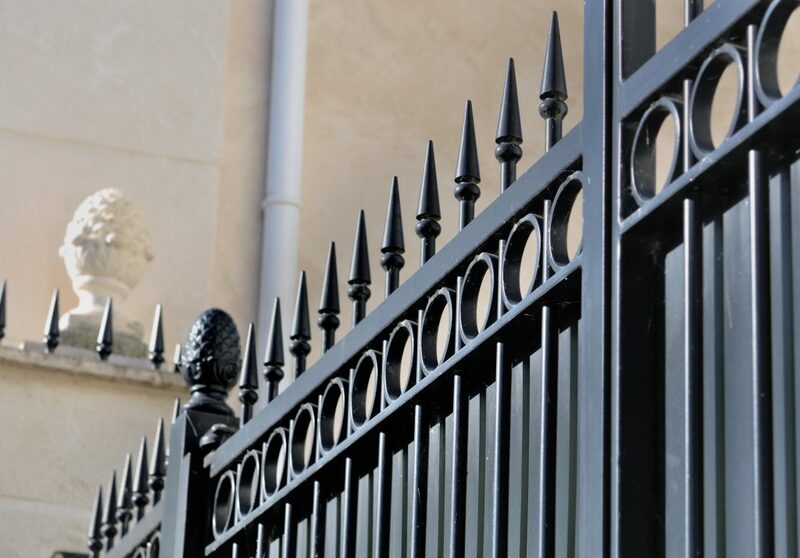 All of our metal railings are manufactured using high quality materials and are built to last. Our years of experience and knowledge make us the experts in custom metal railing design. Our railings are available in many styles and finishes, including powder coated, galvanised and weather resistant to provide protection against rust. We offer a wide range of finial designs to complement the style of your building or home. We can also manufacturer wrought iron gates to match your railings. Call us today to arrange a quotation for metal railings in Coventry, Rugby and Nuneaton.